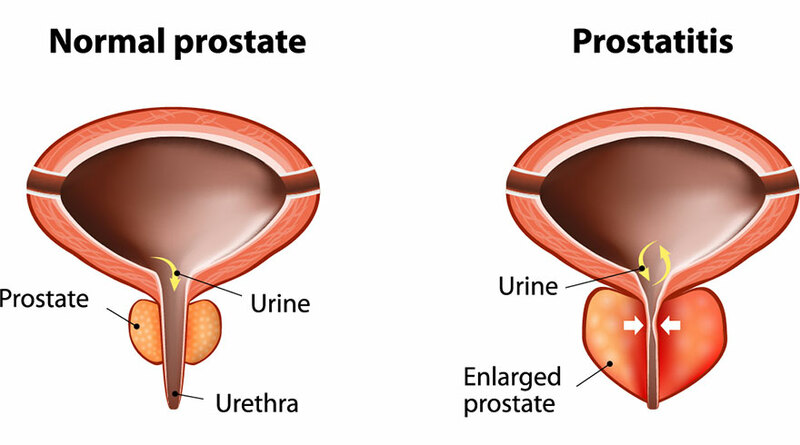 Prostatitis is a condition that involves inflammation of the prostate and sometimes the area around it. There are several types of prostatitis, each with a range of symptoms. Some are related in bacterial infection, and some are not. Some men with the disease will experience severe pain and others will not be bothered; and the rest fall in between the two. However, the symptoms of the disease do have a significant impact on a man’s quality of life. The symptoms depend on the type of prostatitis infection the man is suffering from. Often men do not notice any symptoms, while some experience symptoms similar to that of a urinary tract infection. However, other diseases can cause the same or similar symptoms. It is very important to be evaluated by a medical professional to determine if the patient has prostatitis and which type so that it can be properly treated.